These organizations offer wonderful fundraising programs for St. Jude. Please take advantage of these simple opportunities to benefit our school. Sign up is easy and free, and the programs will fit effortlessly into your regular shopping routine. Thank you for supporting SJCS! 1. Sign in and enter St. Jude Catholic Church and School as your charity. 2. Begin shopping! Once you’ve selected your charity everything else functions the same. No extra cost is passed onto you, and Amazon will donate 0.5% of your purchase to St. Jude. If you are already set up with another charity and wish to change to St. Jude, here’s how. At the top of the page your current charity will be listed. Click on it, and then select “change” and enter St. Jude Catholic Church and School. For more information about the AmazonSmile program, go to http://smile.amazon.com/about. Stop by the school or parish office or Schnucks customer care counter and pick up a My Schnucks Card. Show your card each time you check out at any Schnucks store. Schnucks will donate up to 3% of your purchase to SJCS! 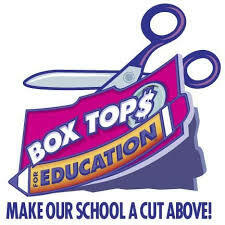 Clip Box Tops and earn cash for SJCS with General Mills’ Box Tops for Education program. Each Box Top submitted earns $.10 for St. Jude. Clip Box Tops from Product packaging and send them to the office, or drop them in the collection box at the parish Connection Center. You can earn bonus Box Tops via the Box Tops app, available for both iPhone and Android devices. Simply load the app, pick from the offers, and scan a copy of your sales receipt after you’ve shopped. Visit Kroger.com, choose the Community drop down, and select Kroger Community Rewards. You will be prompted to enroll in Community Rewards. You may do this by signing into your Kroger account, or creating one. Once you’ve created an account, add your Kroger Plus card number or alternate ID, and complete the process to link to St. Jude Catholic School. Our Organization # is 11939.